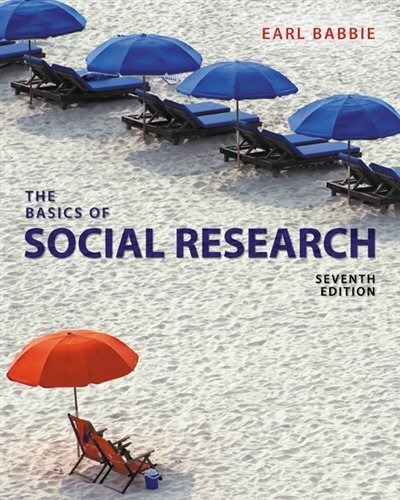 1305503074 -This thorough revision of Babbie’s standard-setting text presents a succinct, straightforward introduction to the field of research methods as practiced by social scientists. Contemporary examples, such as terrorism, Alzheimer’s disease, anti-gay prejudice and education, and the legalization of marijuana, introduce students to the “how-tos” and “whys” of social research methods. Updated with new data, expanded coverage of online research and other topics, and new Learning Objectives for each chapter to focus students’ attention on important concepts, this edition continues to be authoritative yet student-friendly and engaging as it helps students connect the dots between the world of social research and the real world.